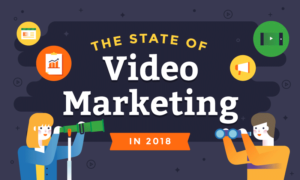 It is very common to have a video on your landing page in 2018. This type of content should create a bond with your visitors and increase conversion. 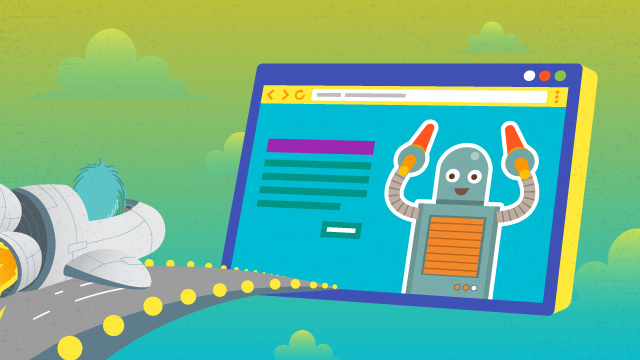 But how good are video landing pages really? Should you use them for any type of website? Read below to learn the answer and get some simple pro tips. 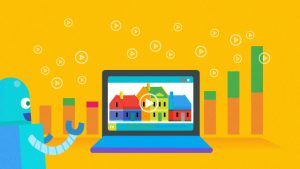 What is a Video Landing Page? As the name implies, these are landing pages that have a video embedded in them. The video can stand alone on the page but you may also choose to add some text or other elements nearby. People usually think of a homepage when talking about landing pages with videos. It is definitely true that your homepage is the best place to embed a video as it attracts the most attention and most visitors will reach your site through it. Still, you can also use landing videos for your blog page, article or category pages. Why are people so interested in making them? Each person might have their own reason for choosing to use a landing page video, but let’s take a look at the benefits from having a landing page video in the first place. In terms of design, there are better solutions at your disposal. You can have a website with a well-designed logo and interface, lightning fast load speed, and perfect copy. This type of media still provides another element to a page, filling it in the process. In terms of information, videos can tell visitors a lot about your business without taking the same amount of space text would. Any way you look at things, it is the rich media resources that most people find appealing and it gives them another point of contact with a website. Video on a page is a great way to increase the time people spend on your page. As people click on it and watch it, they will become more social and involved. This will lead to another action and so on. User engagement stats are becoming increasingly important for Google and this is a good way to increase them. If you have a new product or service that didn’t exist before on the web, people might have issues understanding the concept behind it. A landing page video can provide them with more information. Even if your products and services don’t require additional explanation, it is still a good way to present yourself to a new audience. In regards to the previous bullet point, it is expected from a company to present itself to the general population, to bridge a gap between it and potential customers. Although it may seem like a small thing, a landing page video is an example of public relationships done right. 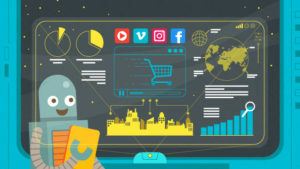 Based on everything that has been said so far, it is easy to conclude that this media will lead to high conversions ranging from sales to clicks. It all depends on the call to action (CTA) you integrate into your videos. Unfortunately, having a video for every page is not ideal in every situation. Sometimes it can backfire. Let’s check some of the examples where pages with videos don’t provide good enough results. So far I’ve considered only situations where you need to explain your business or present yourself to a wider audience. But here’s the thing, if you’re working in a well-established industry you won’t have to explain your products and services. Potential clients will usually know what they need so clicking on a video can be seen as a waste of time. A lot of people will not be so interested in your free presentation. Instead, they tend to prefer testimonials as proof of your track record. Although videos seem like media which can be used for almost anything, they have shown variable results in different industries. We tend to say that landing page videos are great for boring niches as a way to bring some life into them. But if you’re dealing with a really serious issue, it might have a counterproductive effect. Then again, it also depends on the form that is being used. In theory, videos are perfect for explaining a business model. But they also can be an indication that your company is not a top company within your profession. The greatest experts usually have long waiting lists and don’t have to overdo it when it comes to marketing. Not having a landing page video means that a general audience already recognizes you. Marketers will understand this and will see your video as a flaw instead of an advantage. Based on everything that has been said previously, it is easy to tell that landing videos can be extremely powerful if used the right way. Now, let’s check some of the situations where companies can benefit the most. A company has to use every tool at their disposal to leave its mark on an industry and create its fan and customer base. Videos can help in that sense as they give personality to an otherwise inanimate subject. At the same time, they help grab the attention of visitors who would otherwise ignore your content and bounce back after several moments. In this case, a landing page video is primarily used to describe what is offered by a website. Emphasis is not on building a company brand. Instead, it’s on creating a buzz around a product or a service that has a serious competitive advantage. It can also serve as a manual for something that might seem confusing to users. When it comes to companies providing digital services, landing page videos have a different purpose. They are not used to explain anything or introduce a company. Instead, they are being used as a form of digital business card. 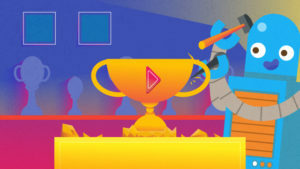 As soon as you land on one of these sites you are able to check their video and decide whether or not you should work with them in the future. Digital companies and gaming companies have some things in common. Both of them rely heavily on visual aids to convey their messages. These organizations also have active video production, a library, and a YouTube channel. 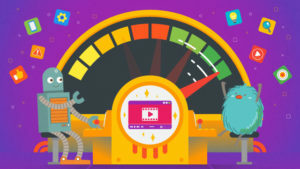 However, the reason why they create animated videos on landing pages is completely different. While digital companies do it mainly to show their skill set, gaming companies do it to show their new product. Although their skillset is noticeable in the video, the emphasis is on the software. Like with new companies, it is really hard to create excitement for static companies. Of course, you are able to create a nice brand identity but when someone ultimately reaches your site, there will be no incentive to purchase products or services. If you have videos on your landing pages you are able to create excitement that will lead to sales. You are able to tell a story that will stick and lead to conversion. There are situations where videos on landing pages are not good. However, if you use them as branding tools, they might have a positive effect even though the conversion on one or more of the pages isn’t ideal. For example, if a landing page video is a part of a larger marketing campaign and helps establish your brand, it is worth placing it on your homepage (or some other important page) even though it doesn’t show clear benefits. If you fall under one of these categories, you should definitely consider creating a video on your landing page. In the majority of cases, it will be a no-brainer. There is a lot you can accomplish by having digital media on a page, and if there is no risk (which is usually the case with these categories) your return will be much higher than your initial investment. Like with any other marketing tool, there is no certainty when it comes to landing pages with videos. Success will vary based on size, history, the reputation of a company as well as on the industry. Even if everything seems perfect, results can be disappointing due to the low quality of a video, an inappropriate message or the way you decided to use it. Nevertheless, they can still be a game changer. Due to the fact that digital content is getting more popular with each passing year, these videos will age well. Several years in the future you will still have actionable landing pages which will convert and bring in sales.